Hey, Simmers! 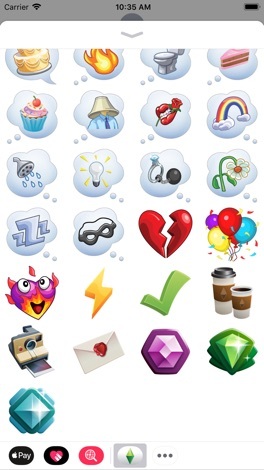 Use these fun and vibrant stickers in iMessage, inspired by The Sims 4 and The Sims Mobile games. 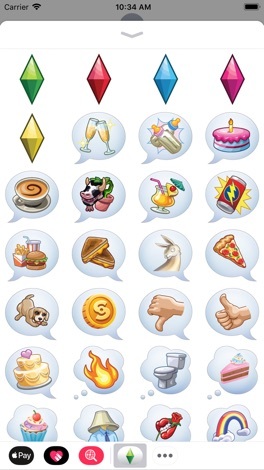 Express your love for The Sims by sharing unique thought bubbles and creative icons. Want to send a llama to your mama, or tell your friends you’re craving cake? You can definitely do that. Did someone send you a selfie? Put a Plumbob on it! With over 40 different static stickers to choose from, there are lots of ways to show your love for The Sims. Download now to play with life, and make your messages more fun. One-stop cement purchase experience, try Hongshi Cement APP provided by Hongshi Group, allowing you to quickly understand the pricing of Hongshi Cement and place orders, where you can get satisfaction at a more favorable price and commodity. Vem vann historiens första fotbolls-vm? Vem i Sverige missade sin straff mot Rumänien i vm-94? I vm-quizen får du chansen att bevisa hur mycket du kan om fotbolls-vm! Spelet är gratis och ingen registrering krävs. Ses vi på highscorelistan? The Ralph Steadman Audio Guide is the official app of the Ralph Steadman exhibit. You can enjoy it at the exhibit or at home. Place your order now with the Zeus Development iPhone app. Get the most of out of your DLA Piper event with our attendee app - featuring individual agendas, maps and speaker information.